This is the first in a series of short blogs about the mistakes businesses often make when marketing themselves, and how to avoid them. When talking to clients and prospects, we often find that people plunge straight into social media without considering the wider marketing picture for their business. Social media is rarely effective when working in splendid isolation, it needs to be integrated as part of a bigger marketing plan for your business. 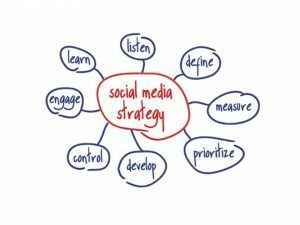 Your social media plan, simply needs to be part of your overall marketing plan (think ‘channels’ for your messaging and content). As with your other marketing activity, you need to think about, and document, your overall marketing objectives, and those which social media can reasonably fulfil. These objectives are of prime importance and ideally ‘SMART‘ ones, as you will need to be able to measure your progress against them. Businesses often believe that social media is about selling, rather than marketing, but there are subtle differences between the two functions, which you as a business need to recognise (click here to read our previous blog on this topic). In short, social media is a marketing tool, and at best delivers leads for conversion, but is not really a sales tool. The only exception to this might be where a business sells products straight from a transactional (i.e. click and pay) social media site e.g. a Facebook Page where customers can buy products direct. The marketing channels you use, which might include social media, must be relevant to where your target audience ‘hangs out’, whether that is online or traditional offline media. There exists a wide range of channels to use, so it’s important to select a manageable number and focus your efforts on managing those effectively. Messaging is a key consideration, it is important to tell your customers and prospects what you want them to do, and include where possible a ‘call to action’ (CTA) e.g. ‘sign up’, ‘share’, ‘call’ etc. There’s a great deal of psychology-based research out there into which type of CTAs work most effectively (ask us if you want to know more). Depending on your business and sector, you will also want to reflect in your marketing plan anything of a seasonal nature, special occasions and specific promotions., so it’s worth creating a calendar showing themes by month overall, and for each channel you plan to use. If you have a team, you may also find it helpful to assign responsibilities for your different channels and messaging. Finally, if you have set ‘SMART’ objectives, you will be able to measure your progress and your return on investment, but only if you have considered which types of measures are most relevant to use. There are many options, from social media analytics, to website traffic stats and wider business measures, so choose your measures with care. Once your marketing plan is implemented, do be prepared to learn, refine and adapt it. It is often the case that specific strands/channels need tweaking, or even abandoning and replacing with an alternative, so make sure you refer back to your plan regularly, and consider it a process of refinement. Do contact us if you would like any support with creating a marketing strategy and plan, or in executing your marketing plan effectively. We have helped many business owners to make their marketing even more effective than they thought!